Since the club began we have been staunch supporters of the Mae Tao Clinic (MTC). As a club with a primary focus of Child Safety, Health and Education, we have always been impressed with the wonderful staff at MTC and their Child Development Center (CDC). It’s been our pleasure to provide funding for various projects and to encourage tours of the clinic. Our current fundraising campaign will fund G.E.D. tests for migrant students currently studying at MTC/CDC. One of the facts of life for the migrant students from Myanmar is that they attend migrant learning centers rather than regular Thai government schools. 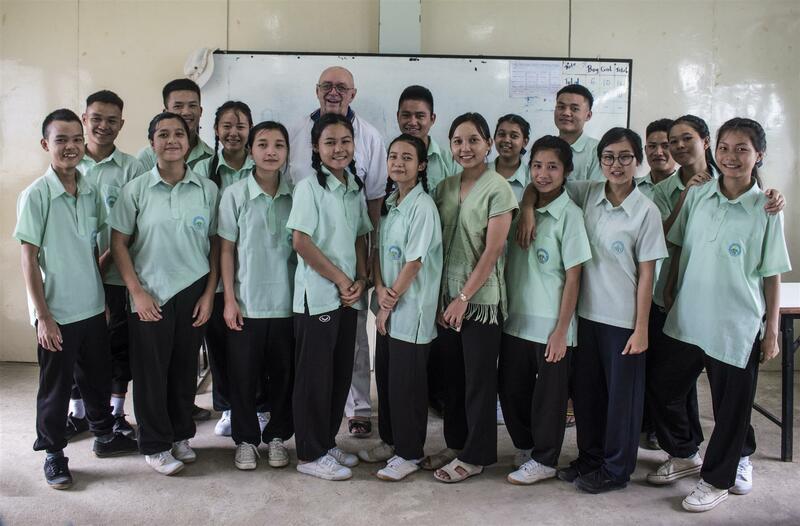 Their education varies in quality depending on the learning center; the Child Development Center at Mae Tao Clinic is excellent and produces well-rounded students who are hungry for further education opportunities. Given the opportunity to get an education many of them return to Mae Tao Clinic or to their home villages and make a significant difference in their communities. They face a common challenge in that they do not receive a Thai high school diploma and are therefore not eligible to apply to universities. Taking and passing the G.E.D. test removes that obstacle. Your help in making this possible is needed and will be most appreciated! Before making our last appeal for this campaign, we would like to express our gratitude to those who have donated thus far, especially the Rotary Club of Bangkok South who made an extremely generous contribution of 30,000 THB. Thus far, this phase of the campaign has raised approximately 66,500 THB ($2,100). 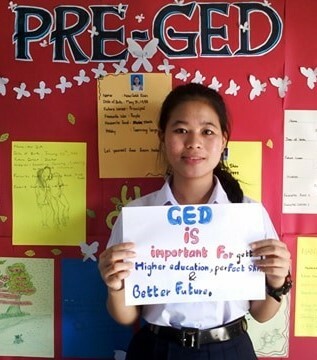 There are currently 16 Students finishing up the Pre-Ged program at Mae Tao Clinic’s Child Development Center. They finish their program on 16 March. Reports from a CDC teacher indicates that a number of the students will have a very high likelihood of passing the G.E.D. test. Students will be given free practice tests as part of their final preparation and then then the final decision to fund their actual G.E.D. tests will be made by CDC staff. A detailed accountability will be sent to donors at the end of the campaign and a summary will be posted here. In the event that we raise more money than is needed for this G.E.D. test campaign, surplus will be rolled into our next campaign which will be in support of the Mae Tao Clinic Birth Registration program. Read more about this in our April bulletin. To learn more about the Mae Tao Clinic and the Child Development Center check out www.maetaoclinic.org. Our next tour of Mae Tao Clinic is tentatively scheduled for Thursday 15 March. Those interested in this tour are encouraged to contact us as soon as possible. We will finalize hotel reservations, and transportation by Monday 5 March.